This year, the holiday of “The Establishment of the Celestial Cow” falls on December 25th in the Kemetic Orthodox calendar. It’s been dubbed “Moo-mas,” and it gives members an excuse to use up some of their time off to plan get-togethers and send each other cards. Mehet-Weret is the specific name for the Celestial Cow. 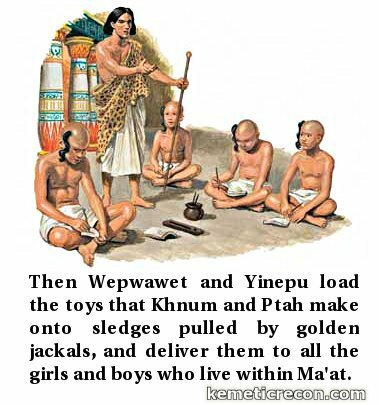 Then Wepwawet and Yinepu load the toys that Khnum and Ptah make onto sledges pulled by golden jackals, and deliver them to all the girls and boys who live within Ma’at. If you’d like to read the story of the Celestial Cow in lolspeak, it’s here! 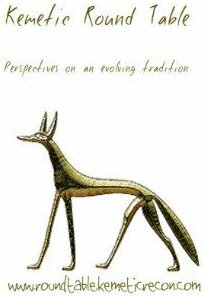 This entry was posted in Festivals, memes, Modern Practice and tagged Anubis, Celestial Cow, goddesses, Kemetic Holidays, Khnum, Ma'at, mehet-weret, Moomas, Ptah, Wepwawet by helmsin2. Bookmark the permalink.